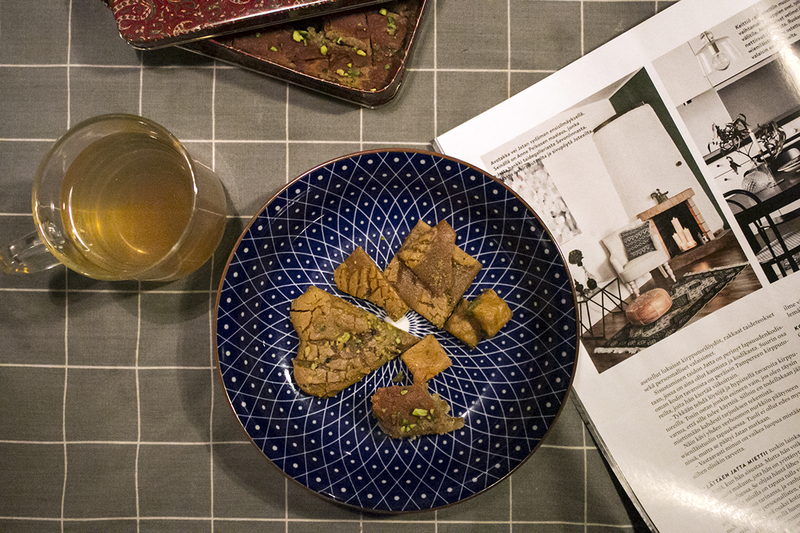 Eddi came home after a long stay in Iran and now I am having these iranian cookies wiht my evening tea - a taste of honey, pistachio and cardamom with rose and orange water, kind of like something very sweet and buttery would be drenched in perfume. But they are strangely good. 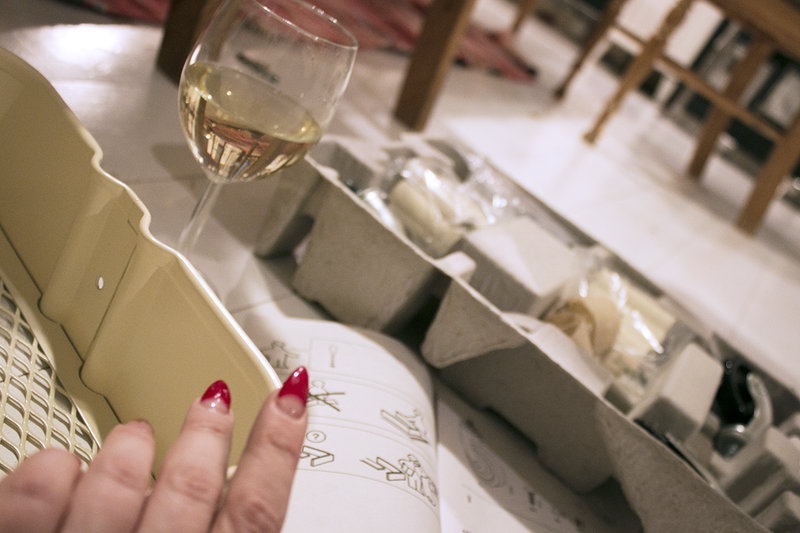 I am about to assemble yet another R�skog cart for our home. Best little cart ever. But in order for that to go smoothly I had to switch my tea to something a bit stronger. Karen Dalton is the soundtrack for that. 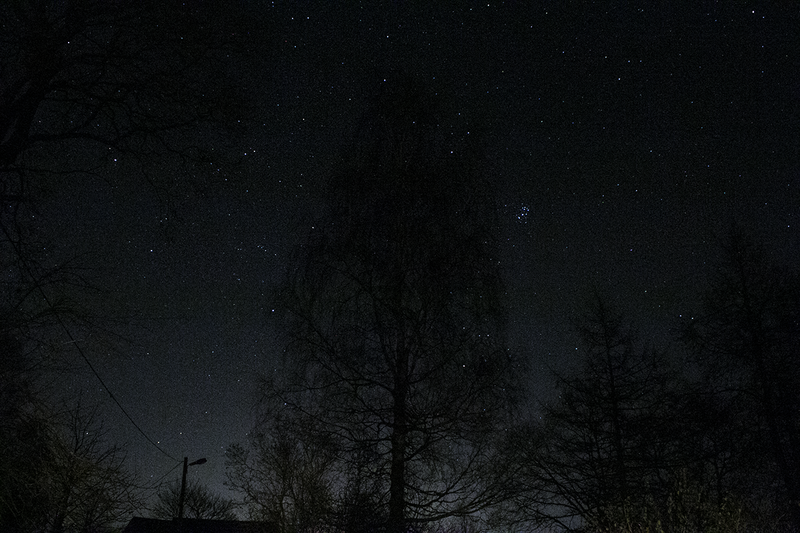 And outside the November sky is infinite. Ps. My son told me it's only 37 days until Christmas. Toodelido!